Poland - Dorothy A. Meeker, 94, died on Sunday evening, November 25, 2018 at Sunrise Assisted Living in Poland. Dorothy, affectionately known as "Dot" and "Dottie" was born March 3, 1924 in Youngstown, a daughter of Guy and Margaret (Boye) Sisler. A lifelong area resident, she was a graduate of Boardman High School. Mrs. Meeker was a dedicated homemaker and worked as a floral arranger at the former Flower Cart and Meines Florist, both in Struthers. 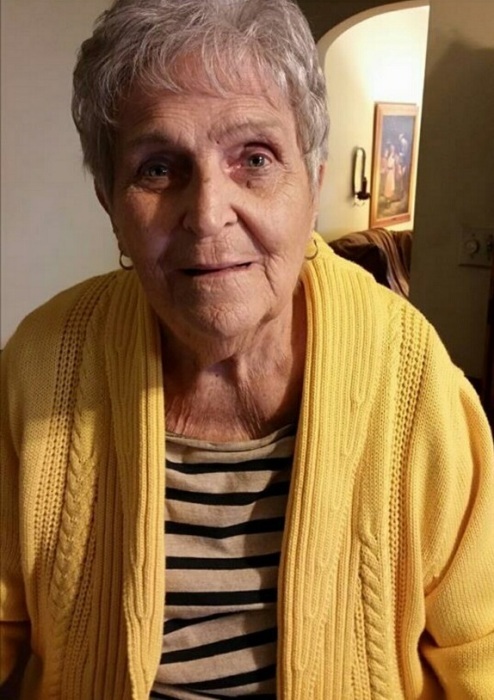 She was a very active member at Good Hope Lutheran Church in Boardman, where she was a member of its Fun Timers Couples Group. Dot was also a member of the Poland Blue Bells Garden Club. In her free time, she enjoyed making crafts, gardening, and flower arranging. Her husband and high school sweetheart, Charles E. Meeker, whom she married December 1, 1951, preceded her in death on December 23, 2017. She is survived by her daughter, Cheryl Dyer of Brunswick; her brother-in-law and sister-in-law, Donald and Sue Meeker of Poland; and her dear friend, Beverly Raybuck of Struthers. In addition to her parents and husband, Dot was preceded in death by her son-in-law, Skipper Dyer; and her sister, Mildred Clair. A funeral service will be held on Saturday at 11 a.m. at Good Hope Lutheran Church in Boardman, where family and friends will be received on Saturday from 10-10:45 a.m., prior to the service. Interment will be at Forest Lawn Memorial Park. Memorial tributes may take the form of contributions to Crossroads Hospice, 3743 Boettler Oaks Dr., Suite E, Green, Ohio 44685 or Good Hope Lutheran Church, 98 Homestead Dr., Boardman, Ohio 44512. Arrangements are being handled by the Davis-Becker Funeral Home in Boardman. Please visit www.beckerfuneralhomes.com to send condolences.